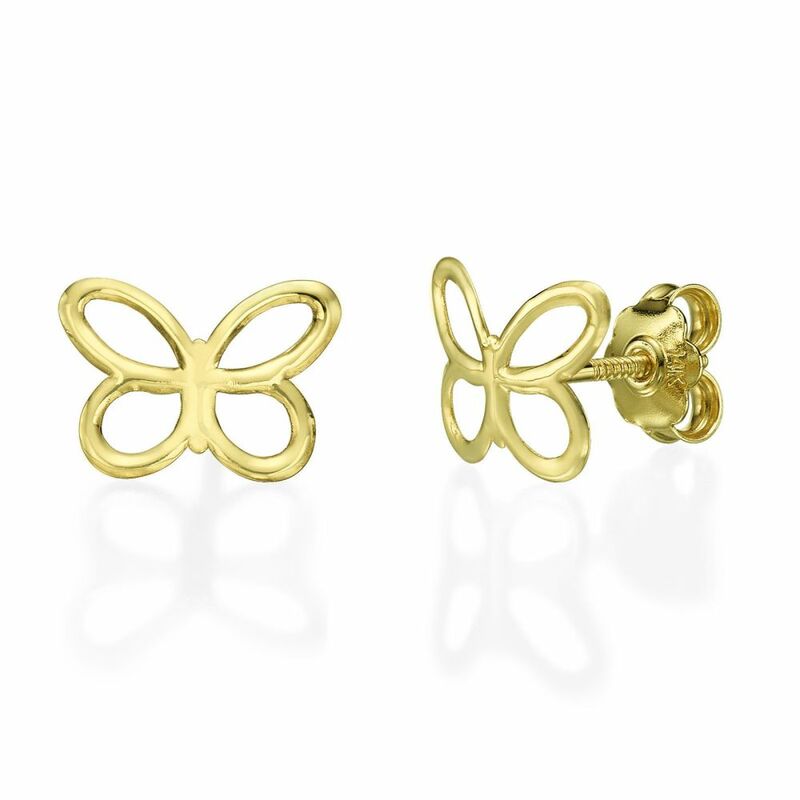 Stud earrings made of solid 14K gold in a smooth and glowing finish. 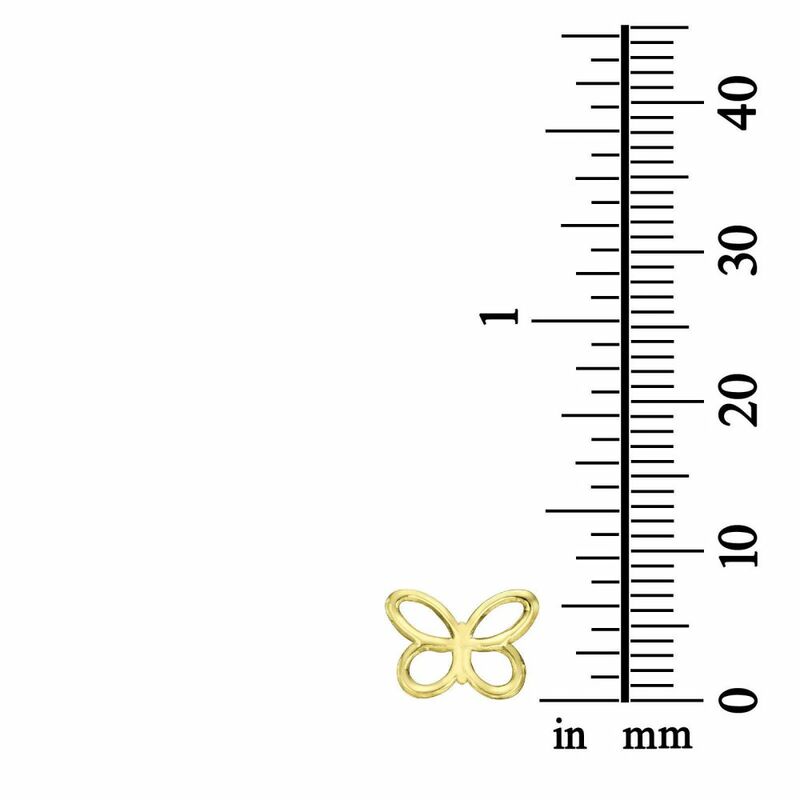 Shaped as a butterfly in a slight curve in a modern style. Wear for every day as a main earring or secondary one.